Sichuan:Danba Xian. 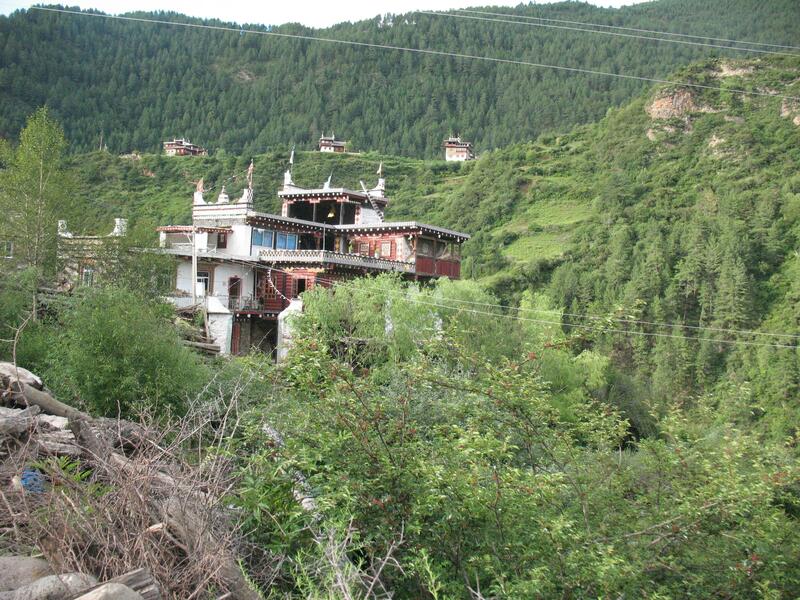 SW of the city of Danba on road (highway 303) to Kangding and Daofu at Maoniu Cun along Maoniu He (Maoniu River). Houses at Maoniu Cun.